Friends, it will soon be time to start thinking about Halloween treats and gifts for those special goblins in your life. I have designed a gift card holder using Sin City Stamps. 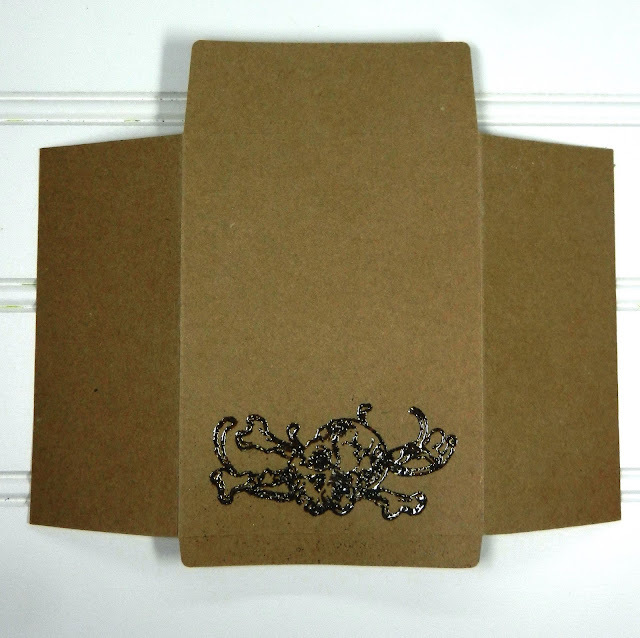 Step 1: Die cut gift card holder out of craft card stock. 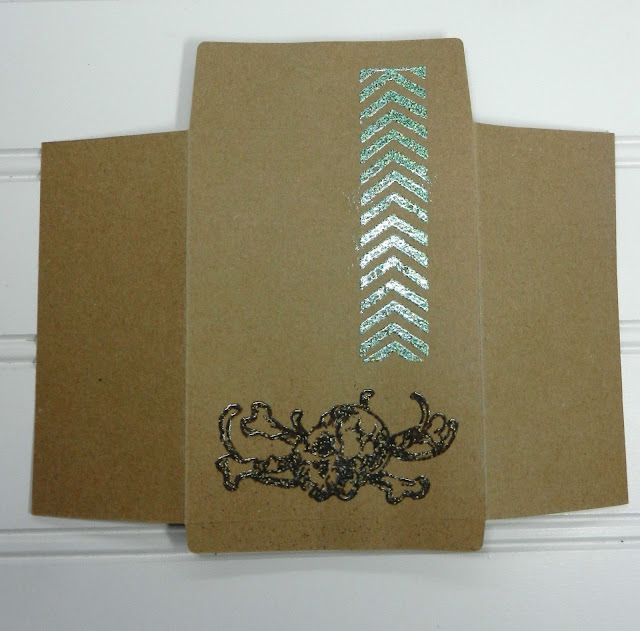 Emboss skull and bones image using iron colored embossing powder at bottom. 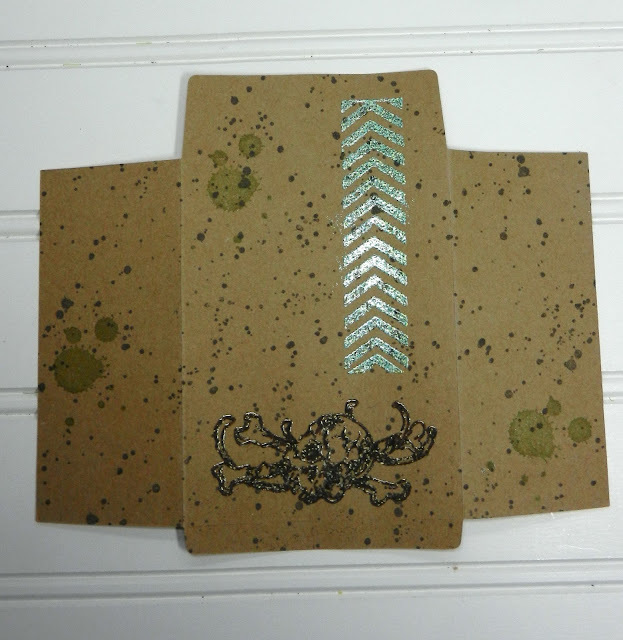 Step 2: Using the Grunge Background stamp set emboss boarder with green embossing powder. 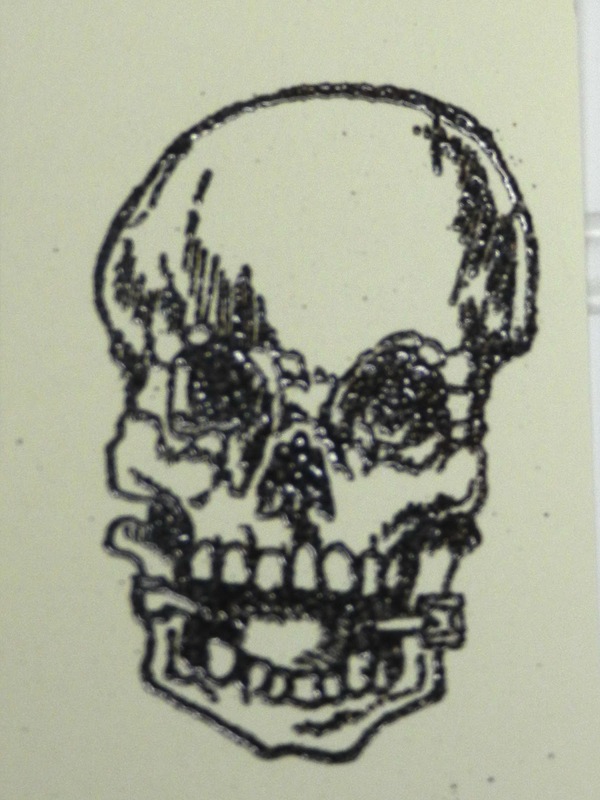 Step 3: Emboss the skull with iron embossing powder. Step 4: Cut out Skull. Step 5: Using splatter stamps, distress entire holder. Step 6: Assemble gift card holder. 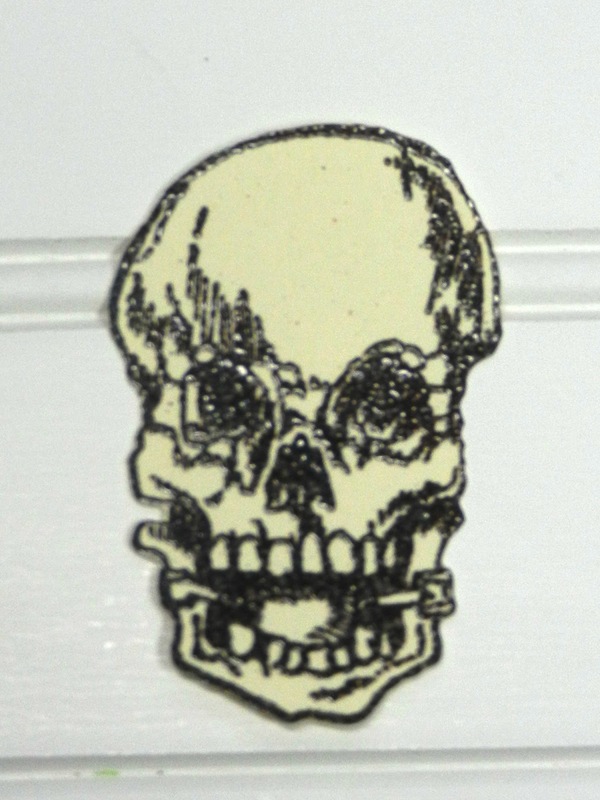 Step 7: Using foam tape, pop up the skull to holder front. 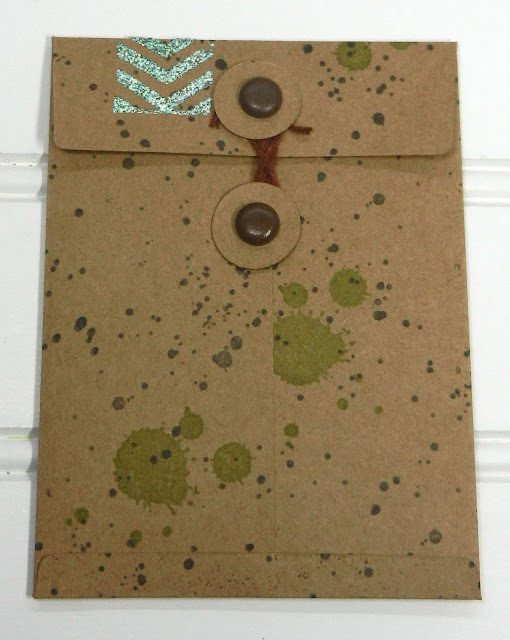 We hope you enjoy making this quick and easy Halloween project. Please share your creations with us on Sin City Stamps fan group Facebook page. 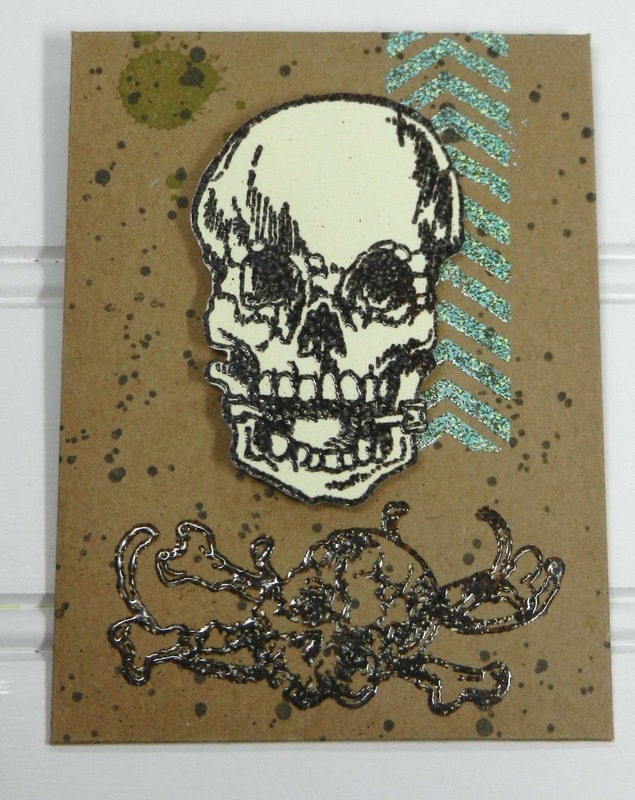 Romantic Halloween Card "Skellie Love"
Halloween Ornament "Dead Men tell No Tales"